The Chinese government newspaper, Global Times, made public that a Hong Kong-based company called Frontier Services Group (FSG) will build two operational bases in Northwest China’s Xinjiang Uyghur Autonomous Region and Southwest China’s Yunnan Province. Xinjiang and Yunnan provinces are at the heart or geographical pivot of China’s vast, developing One Bridge, One Road high-speed rail, port and energy pipeline infrastructure undertaking. What is notable about Beijing’s engaging this FSG security company, is its chairman . The relationship to the Chinese seems not at all minimal or uninformed. FSG’s largest investor is CITIC, an investment fund owned and controlled by the People’s Republic of China. CITIC owns 20% of Frontier Services Group. CITIC reportedly first met Erik Prince in 2013 when Prince was in Hong Kong looking for investors for his Africa security group. Along with Prince as board chairman, the board of FSG includes Dongyi Hua, who is tied with a subsidiary of CITIC, as Acting CEO. Dongyi Hua’s business address in Beijing is listed as CITIC Tower. Chun Shun Ko is Deputy Chairman at Frontier Services Group. Both are Chinese nationals based in Beijing. The Chinese apparently first took notice of Prince because of his security work protecting oil and gas pipeline companies in conflict zones of Africa such as Nigeria against the al Qaeda-tied Boko Harem, as well as South Sudan where China has major oil investments. Now, in a March 21 interview in the Chinese state Global Times paper, Prince announced his FSG has been hired to build two of what the company calls “operational bases.” He stated that, “in late 2016, FSG expanded its geographic focus from purely Africa to include the Northwest and Southwest corridors of the One Belt and One Road initiative.” Erik Prince is responsible for security at the very heart of China’s One Belt, One Road project, a project that holds the promise of a positive alternative to the collapsing Atlantic world of NATO. The FSG base in Northwest China’s Xinjiang Uyghur Autonomous Region will be in the heart of CIA-instigated Uyghur terrorism activities. Xinjiang is home to the CIA-fostered East Turkistan Islamic Movement (ETIM) of Al Qaeda, active among Uyghur Muslims in Xinjiang. Xinjiang itself is the crossroads of most major international oil and gas pipelines into China from Kazakhstan, Russia and elsewhere as well as domestic China oilfields. The second “operational base” will be in Southwest China’s Yunnan Province, where Kunming is the strategic hub of the entire Myanmar oil and gas pipelines and deep water port to the Indian Ocean as well as the emerging crossroads of the vast One Road, One Road high-speed rail infrastructure under construction that will reach to Singapore and all Southeast Asia. 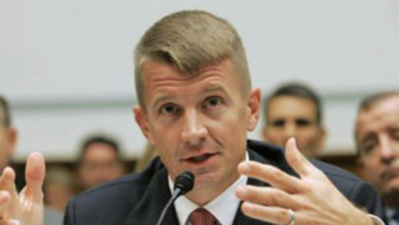 Erik Prince insists that he is not building a “Chinese Blackwater,” but merely making business with the Chinese in their vast trade project to provide corporate security and other services. He insists that none of the security personnel of FSG are armed. Advanced “management theories” in private mercenary killing is certainly Erik Prince’s stock in trade. His Blackwater Security was hired by the CIA during the Iraq war in contracts amounting to over $600 million. Blackwater co-founder was Jamie Smith, was a former CIA officer who became Vice President of Blackwater USA and Director of Blackwater Security Company. Cofer Black, Blackwater vice-chairman from 2006 to 2009, was formerly director of the CIA’s Counterterrorist Center. In short Prince’s operation is a private CIA, unrestricted by US government restraints on covert operations. Blackwater became notorious for the Nisour Square massacre in September 2007, when Blackwater employees opened fire in a crowded square in Baghdad, killing 17 Iraqi civilians including children, and seriously wounding 20 more. Three guards were convicted of 14 manslaughter charges, and another of murder, in a US court. After that in 2010 he sold the company and regrouped under the name Academi. In 2010 Prince’s company received another $100 million to do work for the CIA. 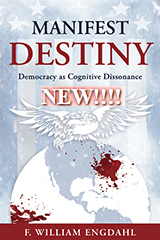 In 2009 it was revealed that he was part of a CIA task force commissioned to kill terrorists. He even was hired to provide security to the Langley, Virginia CIA headquarters. Interesting to note as well are Erik Prince’s ties to the Donald Trump Administration. Prince, who knows Trump personally, gave over $100,000 to Trump’s election. His sister, billionaire Betsy DeVos of the AmWay family, is Trump Administration Secretary of Education. More to the point is that Prince is close friend to White House Chief Strategist in the Trump administration, Steve Bannon. According to one former US senior official, Prince had even advised the Trump transition team before January 20 on matters related to intelligence and defense, “including weighing in on candidates for the Defense and State departments.” In addition to Bannon, Erik Prince is close friend of vice President Mike Pence, who as Vice President cast a rare tie-breaking vote in the 50-50 vote in the Senate that allowed Prince’s sister, Betsy DeVos, to become Education Secretary. Prince is also close with billionaire hedge fund operator Robert Mercer of Renaissance Technologies, a key financier of Trump’s election and of Brexit in the UK. It can well be and is perhaps likely, that the Beijing authorities see two gains from hiring Erik Prince to run security on the critical arteries of China’s One Belt, One Road. One is the fact that Erik Prince is demonstrably one of the world experts at corporate security in terrorist-prone regions. And he knows techniques perhaps unfamiliar to Chinese security companies. The second reason could well be Erik Prince’s intimate ties with a Trump Administration that rhetorically campaigned on a hard anti-China theme, where Beijing hopes that Prince as their “friend” with direct ties to Trump people, might be able to mediate better relations with Washington. If that is the case, Chinese authorities might reconsider whether in pursuit of those understandable goals, they have just sanctioned a sly and highly dangerous fox to guard the henhouse called the One Bridge, One Road. Erik Prince, a “former” CIA asset and world leading mercenary, is now in a position to provide Washington with the most intimate intelligence on the development of China’s New Economic Silk Road. As well, he could easily, were he inclined to be immoral, provide CIA terrorist handlers of groups such as ISIS or al Qaeda precise targets for future sabotage or disruption of the new Silk Road project.